UX, Design, Product Development and Marketing. BA Hons. PPE (2005), LLB Hons. (2007). Co-founder & CEO of @launchkey. 3rd generation cyber security CEO. I create things. Inc. Magazine "30 Under 30". @university-of-texas-at-austin-1. dad x3, husband x1, mad scientist, minister of propaganda, fixer of broken things, mystery solver, social / mobile junkie, @WeAreSynMedia & @neighbrhds. Director of Business Development at @walls360-1, Inc. Co-Founder of Loxii (on-demand wall graphics). Founder of LaunchUp Las Vegas. Co-Founder/CEO, @the-exchange-visionary-laboratories • The leading vision to dominate the wearable technology space. #BeTheXchange. Partner @homebrew. Formerly VP Product at @twitter, ex-Google PM, ex-Partner at @battery-ventures. Penn educated. Vegas raised. 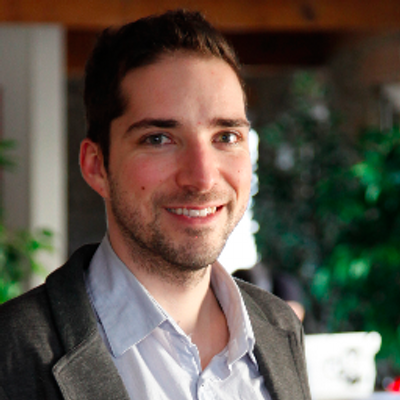 CEO - @mitoo - Serial entrepreneur and UX Designer. Loosely a Mentor at Tech Stars London, 500, Seecamp and others. Full stack designer; Created Increase.com, UIFaces.com, more. Founder feobe • Worked at @webtrends, @peekyou • Studied at @university-of-nevada-las-vegas • Big data warehousing, analytics, visualisation, goal analysis. Vanderbilt Computer Engineering, has created Android apps, RESTful APIs, and websites. Co-Founder of Collide. UI/UX/Designer at Banjo. Love Bike Polo, Guitar, Coffee, Tea, Games, and Design. Co-Founder of @votegiant. UX Architect & UI Designer @caesars-entertainment Inc working largely on eCommerce site. Volunteers services to various charities in LV. Pluralsight Author,Hustler, Founder.,developing applications. Azure addicted.Visionary,Awesome, Traine/Coach. An experienced, creative professional with expertise in UI/UX, Web & Graphic Design and Marketing on projects from conceptual development to finished product. Founder of 944 Magazine, UNIQ Lifestyles Magazine, Background before creating magazines: #1 Web Development Firm Business Journal Book of Lists. Producer, QA, and User Experience. Worked at Full Sail University, Army Game Studios, and Hershey Entertainment & Resorts. A college dropout who started @realniggashit-com, made hundreds of t-shirts and they sold out the first week. Ready to take it to worldstarhiphop.com level. Princess Tarinan von Anhalt serves as Chief Executive Officer of @jet-art-productions, LLC, the innovative company she’s owned since 2006. Pro poker player and full stack developer. Day Trader/Bitcoin enthusiast turned Developer. Open to programming in any languages/stack but currently do RoR/JS, robotics. Fast learner and love a challenge! Univ of Florida graduate - Earth-friendly entrepreneur & editor - former Groovesharker - founder of recycling co. in Dubai - grizzled, global startup veteran. I am a freelance web designer/SEO. Forham MBA. Worked in New York, NY and Hartford, CT. Recently moved to Las Vegas, NV. Love cyberculture, sun, mountains, veggies, and all things French. I am on #Staree now! Experienced software/firmware developer. Knack towards Embedded Systems design. Linux with a scoop of RTOS. Wants to devour Modern C++ spec. Entrepreneur, Investor, Digital Designer and Developer. Passionate about cars, finance, fitness, technology and travel. Master slot machine game design, Own start up company Little five games, Fine art and traditional painting knowledge. Head Graphic artist at School photography company. Strong graphic design and customer service background. Undergraduate Student at UNLV; Research assistant at UNLV; Worked at Naval Research Laboratory; Research deals with computer vision. Graphic Designer, currently entire Art Dept. of Vegas-based national airline. OCD eye for detail, best multi-tasker, insanely quick learner. Founder of Funcform Branding, Creative Director of Movingsun. We are an elite group of programmers and designers dedicated to thinking about and prototyping next generation ideas. Art Director & Web Experience Manager of TrendNation. Jack of all trades, programming from age 7, entrepreneur started successful businesses. Partner at Eckhardt Consulting. Davey Award Winner.